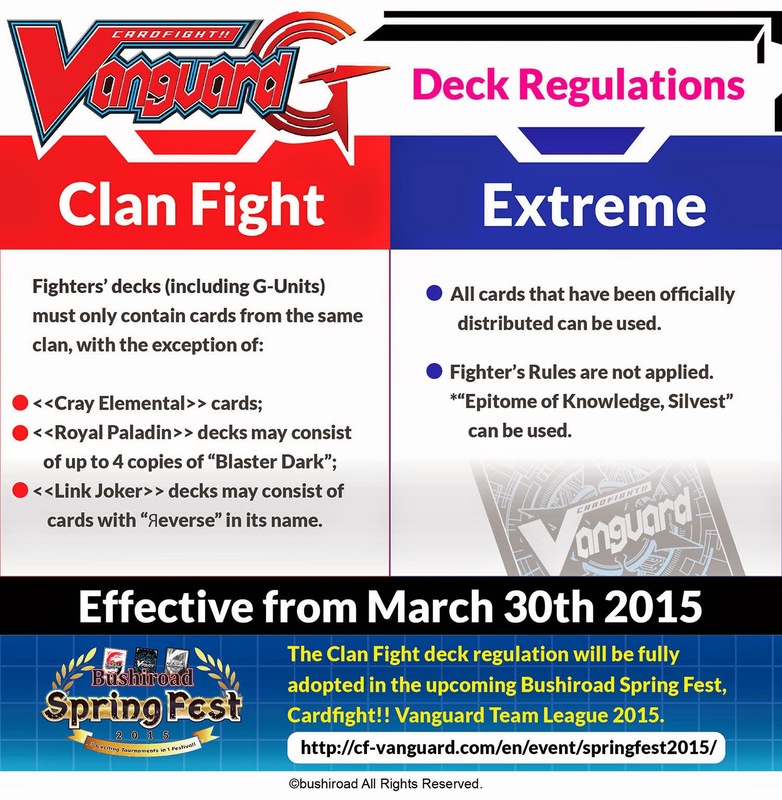 Singapore (March 12, 2015) – Bushiroad announced the simultaneous release of 3 Cardfight!! Vanguard G English Edition products which will be on sale on June 19, 2015. These expansions include one new Trial Deck, the 2015 edition of the Fighters Collection and an all-new product, the Legend Deck. Cardfight!! 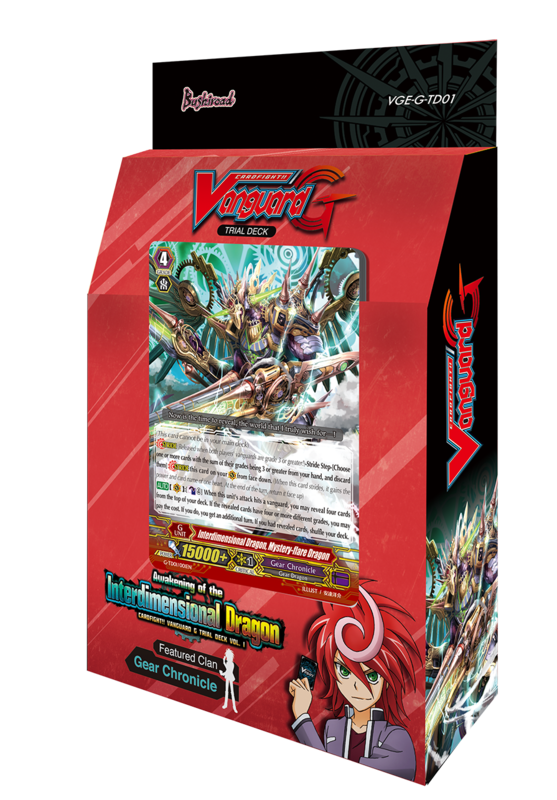 Vanguard G Trial Deck Vol. 5 ‘Fateful Star Messiah’, Fighters Collection 2015 and Legend Deck Vol. 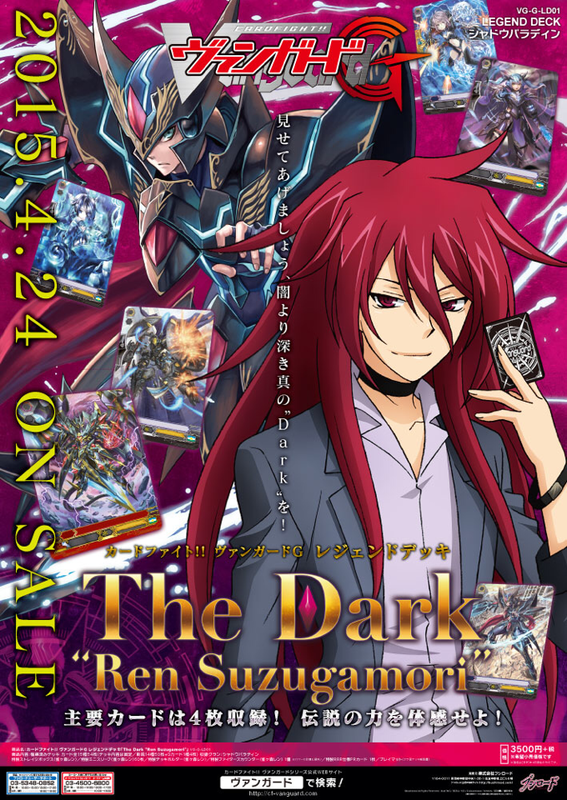 1 ‘The Dark “Ren Suzugamori”’ feature the latest in the Cardfight!! Vanguard G series and contain new cards that will feature units with the Stride and Generation Break abilities. G Trial Deck Vol. 5 ‘Fateful Star Messiah’ features the <<Link Joker>> clan, while the Fighters Collection 2015 will contain new G-units for all clans that have been released thus far, excluding the <<Etranger>> clan. The Legend Deck series is a new product that shines the spotlight on “Legendary Fighters” from the Cardfight!! Vanguard animation. Legend Deck Vol. 1 will feature the fan-favorite Ren Suzugamori and his popular <<Shadow Paladin>> deck. It is the first of its kind, and will contain premium items such as an exclusive deck holder, fighter’s counter as well as a special foiled promotional card. G Trial Deck Vol. 5 ‘Fateful Star Messiah’ and Legend Deck Vol.1 ‘The Dark “Ren Suzugamori”’ will also include one hot-stamped card randomly inserted into decks. Today the English Cardfight portal updated with release information for the international distribution of G-LD01: The Dark “Ren Suzugamori,” G-TD05: Fateful Star Messiah and G-FC01: Fighter's Collection 2015. All three sets will hit western shores simultaneously on June 19th 2015. The legend deck will notably contain all of the accoutrements of its Japanese counterpart sans sleeves, including the triple rare promotional card Grim Recruiter. The Dark “Ren Suzugamori,” first announced in late January, will introduce the new Shadow Paladin cards used by legacy character Suzugamori Ren in the Cardfight!! Vanguard G anime series. Careful scrutinizing of a promotional poster distributed in early February reveals that the cards teased so far each have partial grade information in their grade circles. The number of bars inside their grade circles indicate that the new Nemain and Charon units are grade 1s, Macha and Mac Lir grade 2s, and Blaster Dark “Diablo” is a grade 3. Furthermore, Nemain's gold shield icon points to her being a card with the Sentinel skill, and Phantom Blaster “Diablo's” card color corresponds to a G Unit. The legend deck will come out on April 24th in Japan. Fateful Star Messiah was announced in Japan only last week, alongside the upcoming booster set G-TD05: Dragonic Star of the Supreme Way. The set will feature Ibuki Kouji's Messiah units, a new series of Link Joker-turned variations on the original stride Harmonics Messiah. Japan will receive Fateful Star Messiah on May 29th. 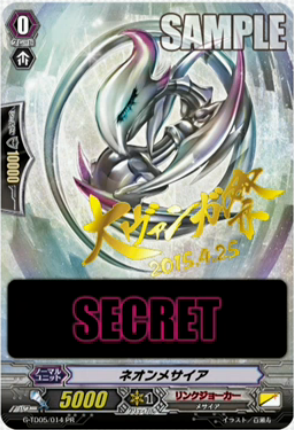 Fighter's Collection 2015 is a special form of extra booster that will provide G Units for every clan sans Etranger. The set will reach Japanese waters on May 5th. 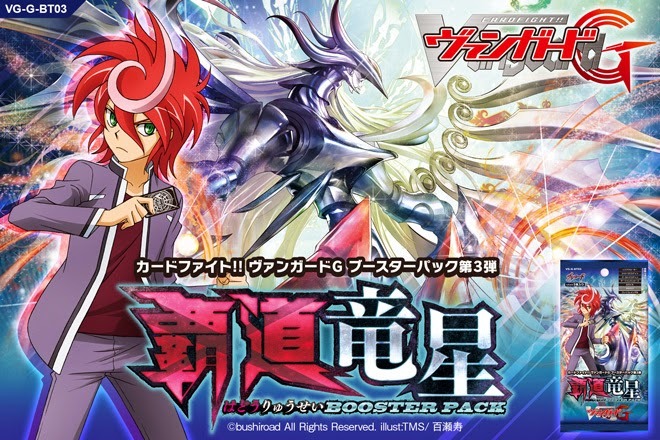 This past week Bushiroad has released a steady stream of information regarding the upcoming trial deck and booster set G-TD05: Messiah of the Fateful Star (宿星の救世竜 Shukusei no Kyuuseiryuu lit. 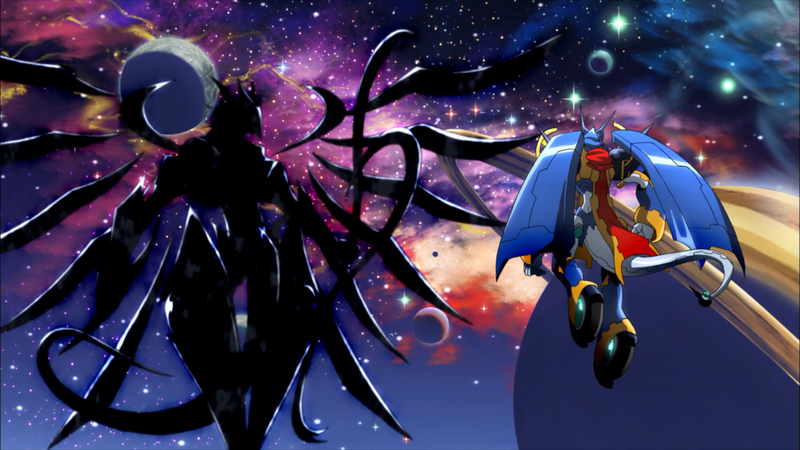 "Savior Dragon of the Fateful Star" but with the forced reading of "Messiah") and G-BT03: Dragonic Star of the Supreme Way (覇道竜星 Hadouryuusei, written with the kanji "supremacy, way, dragon, star.") The most recent of these reveals has given us the set details through the Japanese products page, placing both TD05 and BT03 for a May 29th release. 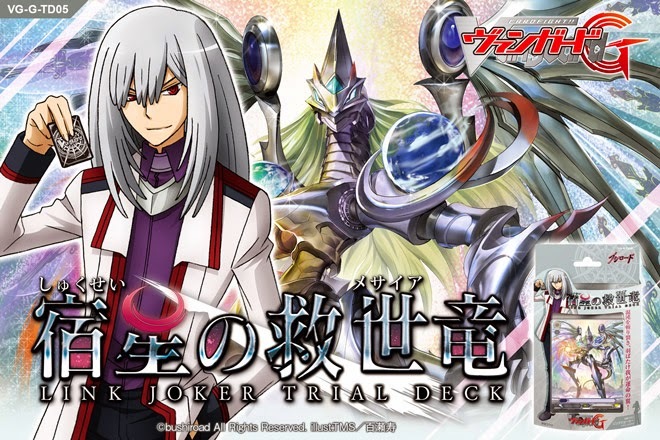 Messiah of the Fateful Star will feature Ibuki Kouji's Link Joker cards from the currently airing Cardfight!! Vanguard G anime series, while Dragonic Star of the Supreme Way will include support for the Shadow Paladin, Link Joker, Gold Paladin, Dark Irregulars, Murakumo, Kagerou and Cray Elemental clans. Both the trial deck and booster set feature units that appear to be visual variations on Harmonics Messiah, the first stride unit that served as a focal character in last year's Cardfight!! Vanguard theatrical film, Neon Messiah. In the film Ibuki sought to take Harmonics for himself in order to erase the card game entirely, but only achieved his goal after he had already given up on destroying Vanguard. Harmonics then transformed into the grade 0 Neon Messiah. Neon Messiah will debut in the card game as the first vanguard for Messiah of the Fateful Star, and while Harmonics is the only card to have no original clan, Neon is a pure Link Joker. In the card lore Harmonics was summoned to purify the Deletors' home planet Brandt of Link Joker's influence, and its artwork depicted it holding Cray and Brandt on its shoulders. The trial deck's Messiah unit carries a similar theme, while the booster set's Messiah appears empty. Supreme Way's cover card was also briefly teased in the thirteenth episode of Cardfight!! Vanguard G, where series protagonist Shindou Chrono envisioned himself fighting against a Messiah unit shrouded in darkness. G-TD05 makes use of a complex visual pun; the name is written with the kanji 宿星 Shukusei "star of fate" but with the radical for "sun" 日 substituted by an illustration of a partial eclipse. A popular but grammatically incorrect alternative translation is "Messiah of Zodiac." Shukusei can refer to a singular zodiac (Pisces, Aquarius, Leo et al.) but not the entire twelve signs at once; for this 獣帯 Shuudai is used. Shukusei is also used in relation to the Chinese system of constellations. The trial deck is referring to a singular star with governance over fate, not a Zodiac sign that embodies a series of interconnected stars. G-BT03's ryuusei is a homophone for "shooting star," while hadou is a form of martial law that is also written with the characters for "Way of Supremacy," just as the samurai code Bushidou is written "Way of the Warrior" and the Japanese religion Shintou is written "Way of the Gods." Of note is that the kanji for Supreme Way has a black X crossed through it, which resembles another symbol found on the Malefic Deletor logo. In other news, the Japanese Treasure Campaign has updated to reflect an upcoming promotional sleeve for the revival legion Dragonic Overlord “The X.” These sleeves are to be obtained by turning in trigger points distributed in Japanese booster packs, but as with past campaigns, overseas fans can expect to import them through secondary sellers. “The X” has been a popular figure in Japan since his rise to power in professional play, to the point of being considered for restriction. While post-BT02 tournament results have seen “The X” all but disappear from the top spots, that has not inhibited strong turnouts from Overlord cardfighters, who regularly account for the second or third greatest deck representation.